Are you getting caught with technology and marketing systems and losing sight of the little things that make the greatest impact? If you answered yes, don’t worry you are not alone. In an increasing complex world full of online and offline marketing options, many businesses are forgetting about the little things. The simple things. It’s well known in business that finding a new customer costs around 10 times more than keeping an existing customer, so finding cost effective marketing methods is vital to running a successful business. Here are four things every business can do that are no cost and can both win you the sale and keep your customers coming back. Be Your Word – do what you say you are going to do. Believe it or not, just doing what you say you are going to can make you a stand out! Customers always remember what you promise and can easily get disappointed if you don’t deliver. It might be as simple as “I’ll call you back by the end of the day”. If you don’t ring back, this may lose you a sale as well as your credibility. If you promise to do something then just do it. Always under promise and over deliver. Listen to what your customers are saying not what you want to hear. Successful businesses know to ask for customer feedback but often businesses don’t listen to it! Customers often provide feedback and let you know their preferences informally such as ‘can you deliver in the morning’, ‘I’d prefer to receive a text than an email’, ‘my busy times are end of the month or Fridays’. If as business owners we can listen and then adapt our behaviour to the customer needs such as not calling on Fridays or ensuring that communication occurs by text, the customer feels heard and valued and this engenders loyalty – more than a coffee card! This sounds more like advice your mother or grandmother would say rather than a marketing consultant, yet this is one of those little things that has a big impact. Acknowledge your customers when they do something that benefits you or your business. Show appreciation when they provide a referral, an online review or if they have been flexible and rescheduled to make it easier for you. An easy way to say thank you and yet so often missed by businesses is through social media. Thank a customer’s interaction by liking comments or taking the time to reply a comment. Too often customers get rewarded when they switch to another business. We have seen this in insurance, energy and banking. What works is it this is turned around. Rather than giving away all the benefits to attract new customers, ensure that your existing customers get the best deals. Make customers aware of any offers you may be making to attract new customers and share it with them. Be proactive and let you customers know that you will always give them the best deal and then be your word and follow through on that. In short treat your customers better than your potential customers. 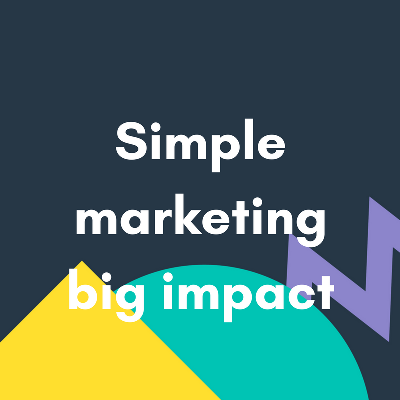 If you would like more ideas on how to get a big impact with your marketing contact us for advice, training or to set up your winning strategy.